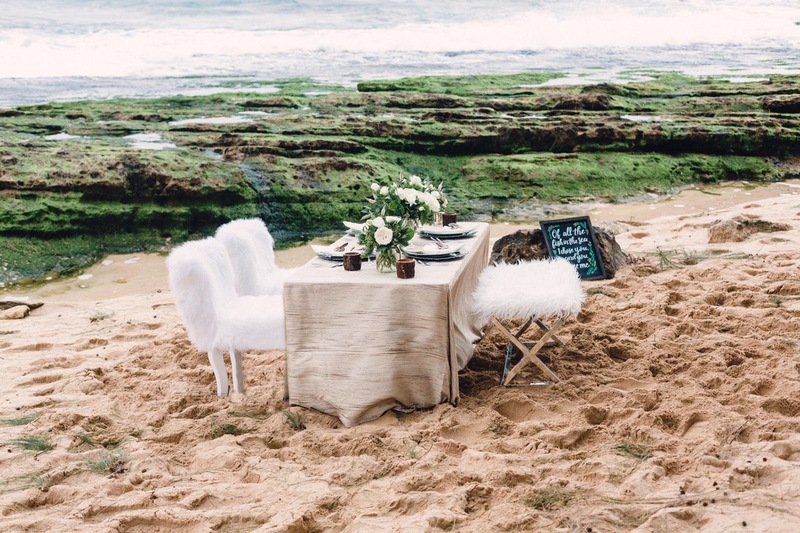 It’s easy to go overboard with themed décor when planning a seaside destination wedding. 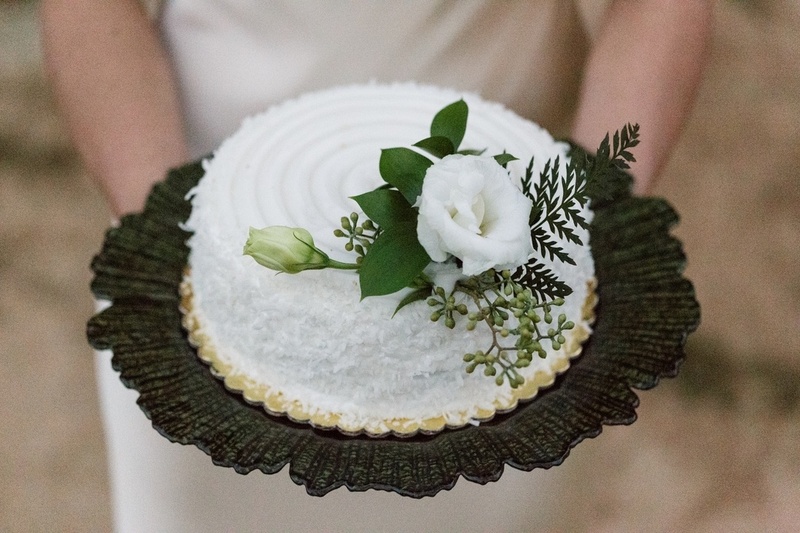 But this one photographed by Jeannemarie Photography is anything but cheesy. 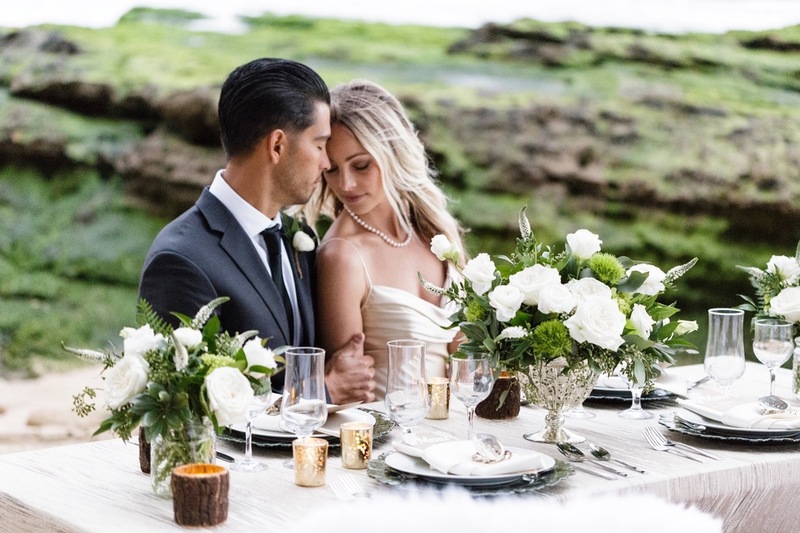 Designed with romance and effortless elegance in mind, this wedding inspiration shoot in the North Shore, Oahu is a breath of fresh sea air. 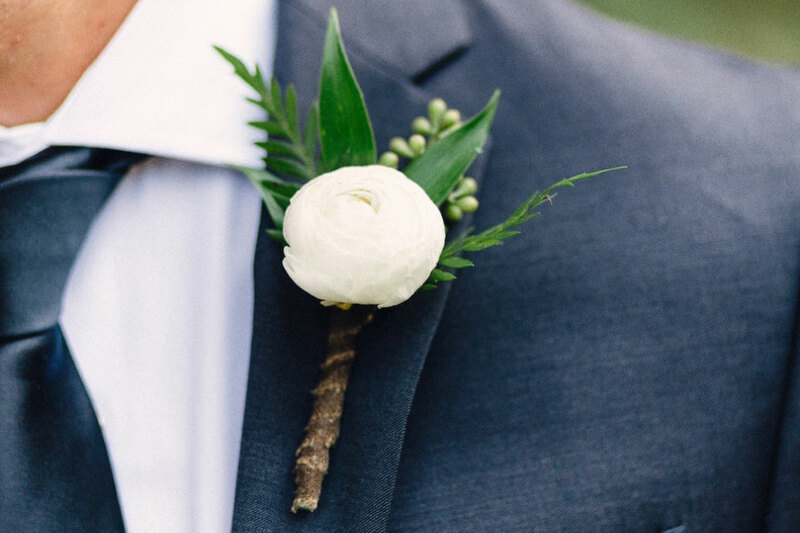 Here are a few simple tips to bring some serious style to a beach wedding. When adding your final touches, make sure you don’t go overboard. Remember, less is more! Plus everyone already knows they’re at the beach, let the unforgettable surroundings speak for themselves. 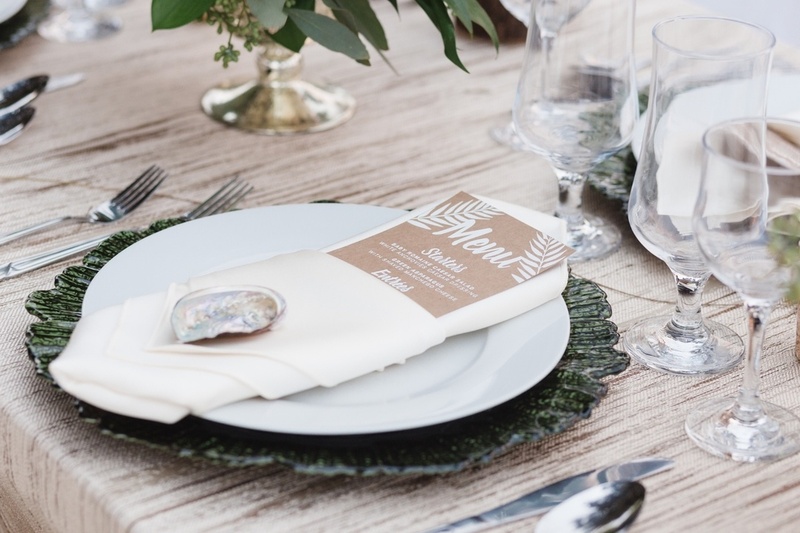 This simple oyster shell and sand-toned table linen is the perfect amount of beach-themed décor for this tablescape. When planning a costal color palette, the first color that usually comes to mind is blue, but if you stick to the warm hues they will sing against the cool blue tones of the water. Taupes, golds, and soft pinks are great warm tones to choose from. 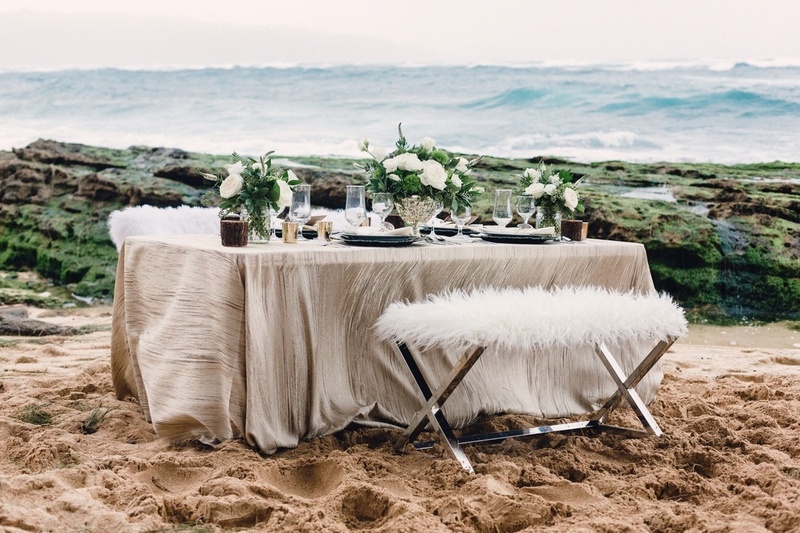 This look also incorporated crisp clean whites and emerald green elements that really popped against the sand tones. 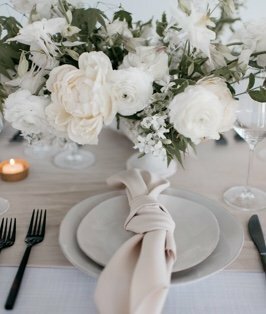 With a stunning backdrop like this, you don’t want to make floral choices that will take away from the atmosphere. 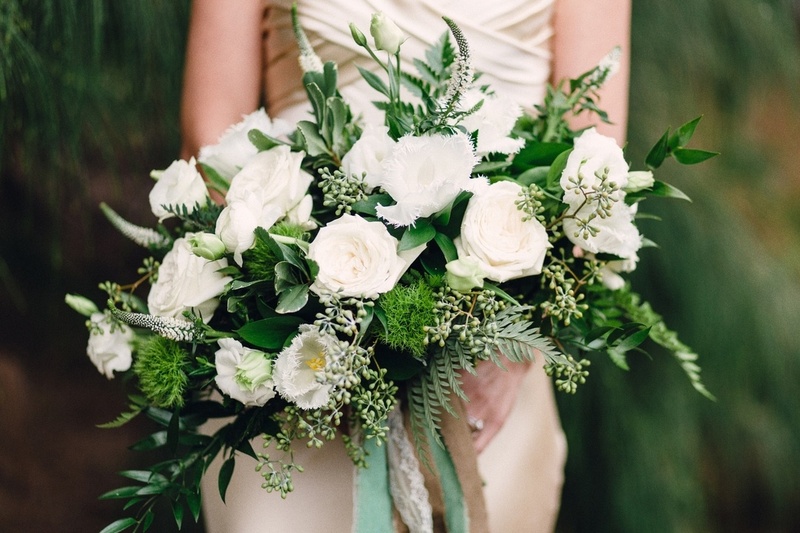 We love the choice of elegant white and green flowers for this look. 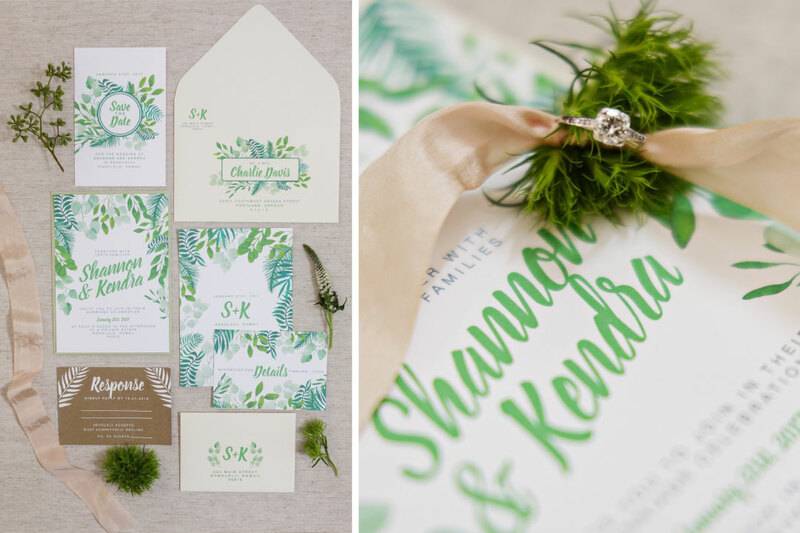 These lush, textural and sophisticated arrangements don’t distract or feel out of place. Just because you’re at the beach doesn’t mean that you have to be barefoot and look like you’re already on vacation to say “I Do”. This flowy chiffon gown is beyond elegant and moves like the sea breeze. The stunning detailed back really brings the sophistication to the next level, making this affair a romantically elegant one. Just remember to keep it simple, keep a natural vibe and let your destination be the background, not the focial point.